Memorial Lutheran School's mission is to "build a strong foundation" for the love of God and neighbor. This is done through the spiritual foundation of the preaching and teaching of the Gospel and the academic foundation of a comprehensive, classical education. Memorial Lutheran School (MLS) seeks to care for the Church and the world by forming each student to be equipped academically for service to the neighbor, with faith in Christ that is evident in his or her life. MLS curricula and programs are in accord with the doctrine of the Holy Scriptures as taught in the Lutheran Book of Concord as a correct exposition of Scripture, and serve to share the Gospel of the forgiveness of sins in Christ Jesus. MLS is committed to teaching the Liberal Arts and Sciences through the humanities (literature, history, art, and music) in order to incline students towards academic excellence and in this way provide a comprehensive, classical curriculum. 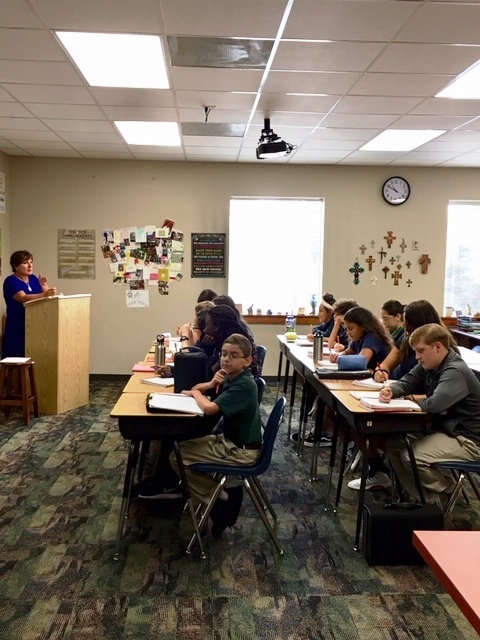 Students are raised in the Christian faith through daily chapel services as well as religious instruction. Through memorization of Luther's Small Catechism, Scripture verses and hymn stanzas, students are prepared to confess their faith in the congregation as well as in the world. Students, prepared through catechesis, are thus ready to live out their vocations (callings into which God has placed them). Students learn their roles in the classroom, at home, and in society, as well as how they can serve their neighbor in the future.